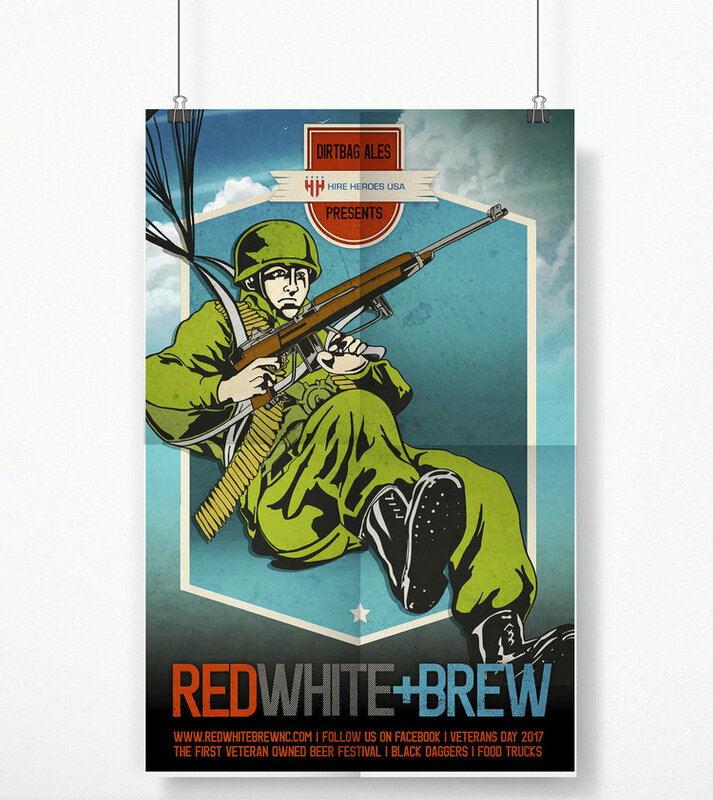 Red, White + Brew is an organized festival created to congregate a patriotic assemblage of people by showcasing veteran owned breweries in the state of North Carolina. The secondary focus of the festival includes how brewers are using their newfound success to donate to important causes relating to many different realms surrounding the needs of the armed forces, combatting the veteran unemployment rate. Red, White + Brew is an event through positive energy and collective passion featuring the hard work of service members who once dedicated their lives to protecting our country, and turned their achievements and lessons learned into a secondary, innovative career path through entrepreneurship. Watch the video to get the full experience. There is no doubt that festivals are a very popular platform to use to promote multiple businesses and support initiative organizations. There has never been a veteran owned brewery festival. Within the last 5 years, veteran owned breweries have become extremely popular, but have not been exhibited as their own entity. By exemplifying all of these companies in the same space, it will give them more credibly, designate a larger audience, generate sales, help with growth and hiring, and help the organizations they support. The military gives every service member the opportunity to enter with virtually no skills and leave with an array of dexterity needed to strive in the civilian job market. Embodying the ingenuity and creating a theme around veteran owned small businesses would intrigue other veterans to dominate entrepreneurship, and gain knowledge in resources they have available to them. By collaborating with other veterans as a designer, I learned that other veterans can be creative and lean on one another in different job markets to create a cohesive enterprise. Creating this festival gave me skills in all of the areas of interactive media I have focused on, as well as incorporate other skills I have learned in my career. Facilitating, event planning, marketing, branding, design, illustration, information architecture, research analysis, project management, and video editing are all of the proficiencies I combine for my capstone at Elon University, and a festival was the best way to show off each and every skill.